We work to get the compensation and justice you deserve for your personal injury. So, you have had the unfortunate experience of being in a car accident. We can help you! We provide a free first consultation, no matter the size of the case. Most people do not understand their rights with respect to personal injuries they suffer due to another person’s acts of negligence or intentional acts of wrongdoing. Such acts of negligence include, but are not limited to, automobile accidents or slip and fall injuries. If you are looking for an experienced personal injury lawyer in Virginia, The Law Office of Scott S. Ives is knowledgeable, effective, and willing to fight for you. In hiring The Law office of Scott S. Ives as your personal injury lawyer in Sterling, Virginia, we take personal injury cases on contingency, meaning our law firm only receives compensation in personal injury cases if we obtain a settlement or judgement from the party that caused your injury or his or her insurance company. This ensures that you don’t have to worry about paying your lawyer up front to handle your personal injury case, and you do not have to pay any legal fees if the case does not turn out well for you. Additionally, discussing details of your case can often open options for you and help deal with any injuries you may have sustained. As an experienced personal injury lawyer in Sterling, Virginia, Scott S. Ives can analyze the details of your case and provide you with a realistic idea of what to expect moving forward. 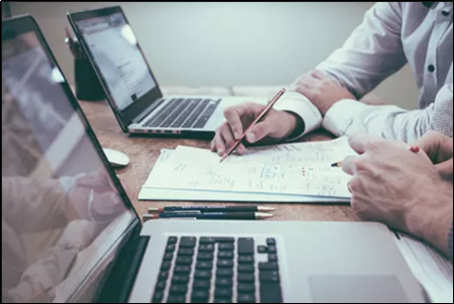 We are familiar with providing legal support in the northern Virginia area and the specific details that come along with this area of legal practice. No matter how small you make think an injury may be, as lawyers with knowledge of the fine details in dealing with personal injury cases, we care about your wellbeing and can advise you with a wealth of previous experience in this field. No two cases are the same and so it is important to consult with an attorney to fully understand what steps need to be taken on your behalf. Acts of negligence or carelessness from other parties including vehicle crashes, intentional acts of personal injury or bodily harm, and defamation are all types of personal injury. Some of the most common personal injury cases that we represent are the result of automobile accidents, and slip and fall injuries, although personal injury is certainly not limited to only these instances. According to the Bureau of Justice Statistics, automobile accidents are the cause of 52% of personal injury cases in the nation. Hiring the Law office of Scott S. Ives to represent you after a car accident resulting in personal injury means you have a team of professionals working for you. We are extremely knowledgeable about the relevant laws and rules of procedure surrounding automobile personal injury cases and can help guide you through the legal process. As a seasoned Virginia personal injury lawyer, Scott Ives understands that one of the most misunderstood aspects of personal injury cases involves medical payments. If you are injured, you should call your insurance company to determine whether you have medical payments coverage (which is similar to a mini-health insurance policy built into you auto insurance). If you do have medical payments coverage, you can use this money to obtain reimbursement for your medical bills. If you have more than one car included in the same policy, you can “stack” this insurance to obtain double (for two cars) or triple (for three cars) the amount of this insurance coverage. Typically, medical payments coverage is between $2,500 and $5,000 per vehicle. Additionally, you can usually obtain reimbursement for medical bills even if you have already received payment for these same bills through your health insurance. There are some types of injury cases where it is not immediately clear if you necessarily need a lawyer; however, if you feel that you have been injured in a slip and fall case it is important to seek legal representation for your personal injury. The defendants’ (wrongful party) fault in slip and fall cases is often not obvious, and insurers in a slip and fall case will rarely acknowledge liability to a person unrepresented by an attorney. It is our job as your lawyer, to get the attention of the defendant and their insurance company to take your injury seriously. As the top personal injury lawyer in Sterling, Virginia, The Law office of Scott S. Ives is there to prove liability and damages on your behalf, asserting that the defendant was negligent and played a part in causing your personal injury, and that you deserve compensation. Meeting with a personal injury lawyer in Sterling, Virginia to hash out details of your injury is important; you may need a lawyer even if you think your injuries are minor. In the adrenaline of an accident resulting in an injury, it is difficult to determine long term affects. You may not have suffered broken bones or other immediately visible injuries, but that does not necessarily mean you haven’t undergone trauma. We want to ensure that after suffering from a personal injury, you are prepared for the future—oftentimes injuries may not fully present, such as an injured back or neck. Getting a consultation in an area close to where to live and the accident took place will help you to understand what options are available to you, what area specific courts may be like or require of you and to ensure that you are fully prepared to deal with the results of an injury. Having someone to fight on your behalf, when you may be injured and unable to work is important in order to make sure that you are covered long term for an injury. It’s difficult to know what you may be owed as compensation or what steps can be taken to better your standard of life after personal injury at the hands of someone else’s negligence. Our Law Office will be present in legal meetings and provide a sense of ease that you are taken care of. There is an assurance that comes with hiring a professional with experience in personal injury cases to wade through the law and provide you with the best service possible. There is a lot of legwork that goes into negotiating settlements, be it with insurance or other parties, and this time and energy consuming work may the last thing that you want to do amid a personal injury. We are well versed in personal injury claims and what is expected throughout the legal process; The Law office of Scott S. Ives has successfully represented private individuals in the northern Virginia area for over 30 years. 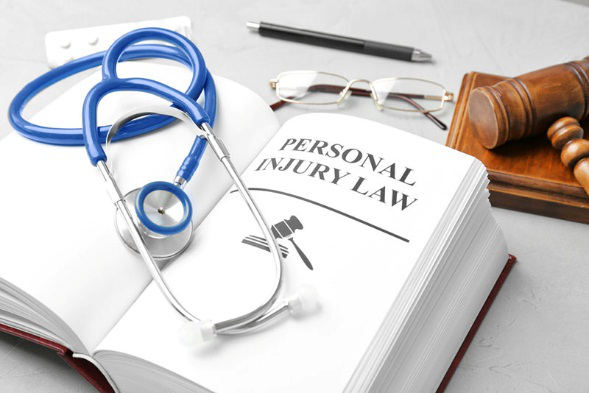 Personal injury cases are often extremely time sensitive and so we strive to make sure that everything is documented and considered for the legal pursuit of rectifying the harm from your personal injury. Promptly acquiring the necessary medical and legal assistance is paramount to obtaining a fair outcome for your case—whether it be a settlement, judgement, or verdict. If injury is not properly documented or dealt with, then the process becomes much more difficult, because of statute of limitations (legal time limits) that can prevent you from filing a lawsuit against the party responsible for your personal injury. Paperwork and forms, questions from doctors, your insurance and dealing with law enforcement can be stressful. Our attorneys are familiar with personal injury law, and we can help you sort through the paperwork, processes, and make things simpler for you. Our office takes on the responsibility of gathering and identifying relevant statements from witnesses, medical bills and records, police reports, and employment and lost wage information that you may be overwhelmed by or unfamiliar with. 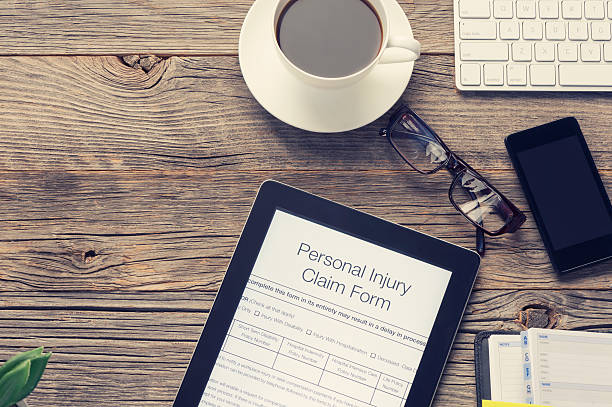 We understand the importance of certain records and processes for making a claim, and are familiar with working with insurance companies—which can be notoriously difficult to deal with in personal injury law cases without the proper legal representation. Hiring a personal injury lawyer in Sterling, Virginia can provide you with higher compensation or settlement than attempting to handle the matter yourself. The Law office of Scott S. Ives considers all aspects of your claim to provide higher compensation for your personal injury, including its repercussions to you, your family, your ability to work and lost wages, and possible medical expenses now and in the future. We strive to obtain more than just reimbursement for personal injury—we pursue compensation for pain and suffering, trauma, and in some cases, punitive damages against the negligent party. Oftentimes insurance companies will attempt to provide a bare minimum payout or put pressure on you to settle for less compensation than you need and deserve, but as your chosen personal injury lawyer in Sterling, Virginia, we fight for you to have the highest compensation for your injuries. 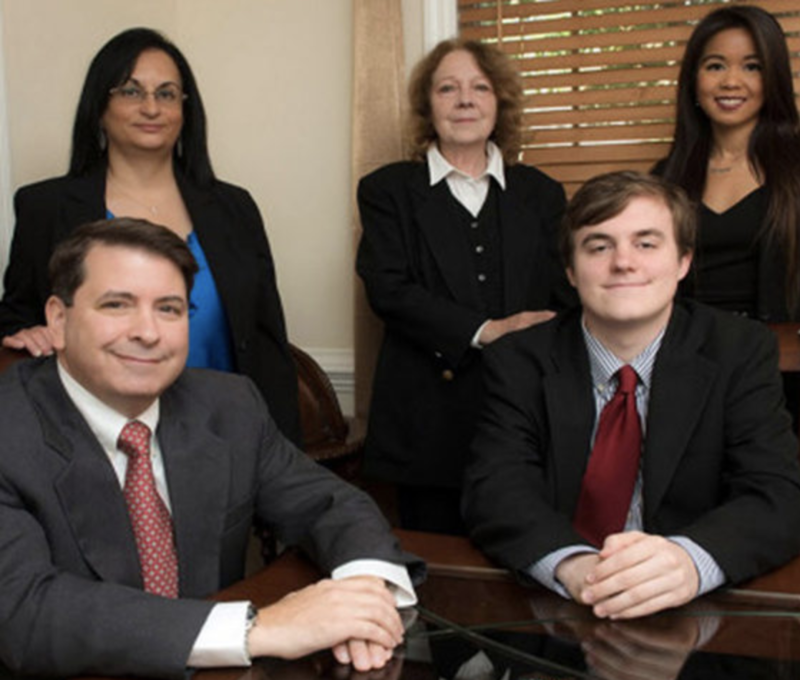 The Law office of Scott S. Ives strives to obtain fair and just compensation for your injuries, and having practiced as a lawyer in Sterling, VA for many years, is familiar with dealing with personal injury cases and settlements in the northern Virginia area. The threat of legal action offers strong leverage in negotiating a fair and comprehensive settlement. Settlement talks may occur if it is clear that the defendant (the accused wrongful party) breached the law and is in some way responsible for the personal injury. In which case, the defendant, or their insurance company, may wish to settle outside of court—meaning that they agree to a certain amount of compensation in return for the promise that the injured party will not pursue a lawsuit over the injury. If you as the injured party agree to a settlement, then that is where the case ends. If the injured party is not satisfied or decides not to accept a settlement, then he or she may go to court and file a personal injury lawsuit. Settlement talks may still continue all the way up until the case is given to a jury to decide the defendant’s liability for your personal injury. To learn more about your rights and information about our successful Virginia personal injury attorney services, please contact The Law Office of Scott S. Ives as soon as possible to schedule your free consultation. Personal injury cases are extremely time sensitive and if you do not obtain the necessary medical and legal assistance, you may jeopardize your ability to obtain a fair settlement, judgement, or verdict. Call us at 703-444-6600 for a free consultation. All information presented on our web pages is for general information purposes only. This information is not legal advice, and should not be relied upon as such advice. Please contact our law firm if you wish to schedule a free, legal consultation which addresses your specific legal questions. Please also note that you have not yet established an attorney-client relationship with our law firm. Therefore, any communication made by you through this web site is not protected by the attorney-client privilege. It is advisable that you limit your communications through this website to a brief, general description of your legal needs and your contact information.Please do not send us any confidential or sensitive information until an attorney-client relationship has been formally established. With years of experience in law across the Northern Virginia, Maryland and D.C. area, our firm is ready to protect your rights. No matter the case, we bring the legal expertise needed to ensure justice is served.